Have questions about your eye health? Would you like more information about becoming a patient? Please feel free to contact our friendly staff who will be happy to assist you. We participate with most medical insurance and vision plans, and that likely includes yours! Our goal at Clarity Eye Care is to help you make the best use of your Health Care Insurance, and Vision Plans. We want to determine what your insurance covers or contributes toward not only your exam, but also toward frames, lenses, and contact lenses. Your coverage will be explained to you in detail at the time of your exam, and please don’t hesitate to ask questions. We know that insurance plans can be confusing. To best achieve our goal, please provide us with all of your insurances and vision plans as soon as you make the appointment for your exam. This will give us enough time to obtain and verify your coverage, and will help to get maximum benefits for you! Our insurance experts are available to answer any questions you may have. Simply close this box and proceed to the 'Request Appointment' section of this page. 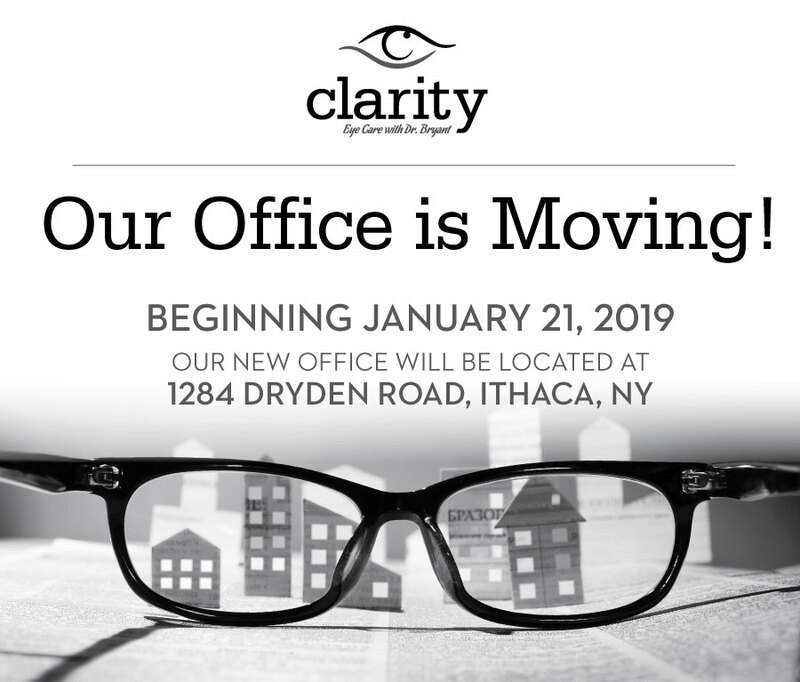 Our new office will offcially open January 21, 2019! Be sure to check our Facebook page for up-to-date announcements regarding our move!